Both McLaren and BMW are trying as hard as ever to solve their cars' problems during the three-week break, McLaren taking a more orderly approach to upgrades and BMW readying some major improvements. Whilst it is good to see both teams pressing on with development rather than giving up on the season, there does seem to be a note of desperation in their press releases. Any team that finds itself with a design problem goes from race to race hoping that, this time, their adjustments will do the trick but the lack of testing means that such tweaks are much more of a hit-and-miss affair this year. Considering the difficulty of developing a car with testing limited to a couple of hours in pre-race practices, I find it surprising that FOTA continues to back the policy of no testing sessions during the season. Although some teams, Red Bull and Brawn, for instance, have been lucky or astute enough to find all their improvements working, several others have struggled and I would have expected them to be calling for the re-introduction of test days therefore. I can only assume that test sessions are so expensive as to be an obvious area in which to save money, although there may be an element of needing to justify the huge outlay on wind tunnels and computing power that some teams have invested in. What is becoming apparent is that such design aids have not been as trustworthy as expected. 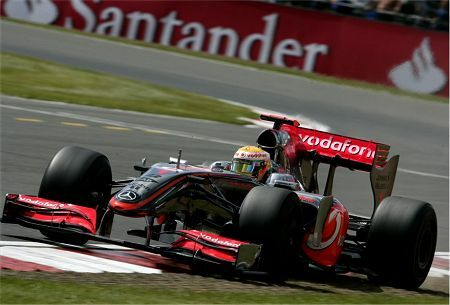 Those teams that have spent most on such technology, McLaren, BMW and Ferrari, have not been able to make it count in the race for development and the smaller outfits like Brawn and Red Bull seem to be able to maintain their lead without difficulty. The difference may be in that the small teams are forced to rely on the ability of their designers and engineers and that this is a better strategy for a season without testing. It may be no coincidence that the two teams leading the pack this year are the same two with star designers, Adrian Newey and Ross Brawn; human experience and genius is still better than sheer computing power, it would seem. If that is the case, the value of outstanding engineers is bound to increase. It would not be a surprise if both Newey and Brawn receive tempting offers to switch to big teams and there is bound to be an intensive search for previously ignored talent within design offices throughout the sport. This would be yet another effect of the new rules in returning us to the past, a time when designers made all the difference in a team's success or failure. For many years, the drivers have been the pampered heroes of the sport, receiving most of the accolades and salaries beyond our imagination. This is changing now that budget restraint bites and the likelihood is that drivers will be paid a lot less in the future. Instead, we may be entering an era when the designer is the star and his earning capacity accelerate in line with the excellence of the cars he produces. Which would only be a fair reflection of the importance of the car in F1 today; as Alonso has demonstrated so effectively over this season and the last, there is only so much a driver can do to compensate for the deficiencies of the car he drives. A designer, however, can be the difference between winning and being an also-ran. And so the eternal struggle between design excellence and driving talent continues in F1. For many years the car has been the deciding factor in the sport and this looks to remain so, even if the current overtaking problem is solved. What may change is that the drivers no longer hope to drive for a specific team and instead will follow the designers in their quest for a car capable of winning races. And poor Alonso, for so long rumored to be moving to Ferrari, may get his wish only to find that times have changed and he would be better off in a Force India or Toro Rosso. Don't laugh - it could happen! Brawn's star designer was Jorg Zander, and he's since left the team. While Ross is a genius strategist and technical director, he doesn't do design office work as such. From the way Jorg wasn't given gardening leave upon leaving Brawn, I sense he isn't about to join another F1 team, leaving teams in search of a great designer in want. I think in order to be completely fair I have to point out that by some margin the car which has had the most money spent on it is the Brawn. There were figures published a couple of weeks ago for the teams' budgets last season and Honda's was by far the highest. They had work going on in 5 wind tunnels and not just 4 as had been previously reported and were running entirely different vehicle concepts. So while Ross Brawn may be a great organiser and may have a new team the car is not the result of tight budget controls and clever engineering it is the result of Honda chucking hundreds of millions of dollars at it to prevent yet another embarrassment. Unfortunately for them the one time they built a great car they gave Brawn the benefit. The team of the future will probably be Ferrari. They have proven to be capable of absolute ruthlessness when it comes to winning. Any team that isn't hampered with an ethic of fair play has a leg up on the others. If others try to do things behind the scenes, they are crushed. Since, as things are now, the main players in this theatre haven't changed, my guess is that history will repeat itself. When you consider the propaganda job, "Ferrari is Formula 1," that has been done on everyone, how can they miss? Alianora: Several things occur to me in reading your comment. Jorg Zander, for instance, I would hardly describe as a star designer. He has spent time at most of the teams and has yet to produce a winning design such as Newey does so often. And I would also doubt that Ross Brawn's role in the team is as limited as you describe. The clue is in the job description "technical director"; that implies that he has oversight of the design of the car and is the decision maker in which direction the design team takes. He may not do the actual drawing but his engineering background must mean that he supplies the ideas. I take it that he, more than anyone else, is responsible for the BGP 001. I agree that there will be a levelling of the salary field during the current economic squeeze and this is part of what I'm saying - that drivers will be paid less while the best designers will take a larger percentage share of the pot than previously. This will happen, not because design staff become famous beyond the world of F1, as the drivers are, but because the pressure to produce a winning car increases while the cars are the dominant factor in winning races. Steven: And yet throwing money around does not guarantee a great design at the other end, as Toyota so ably demonstrates for us. Yes, Honda provided vast sums of money and multiple facilities for the design of what became the BGP 001 but, as their subsequent withdrawal indicates, no one knew whether their investment would pay off this time. It was neither the money not the facilities that made the difference between previous Hondas and the Brawn, it was Ross himself. Without Ross to oversee the design work, it is quite likely that all that money and effort would have resulted in the production of yet another dog of a car, just as Honda's muscle had managed only to create design disasters in 2007 and 2008. Certainly, Ross had the benefit of the money and wind tunnels, etc., but he made good use of them and seems to be keeping up the pace of development as the season continues. Were it only the cash that had made the difference, would not the BGP 001 be lagging behind in development now that the team has so much less to spend? I think Ross is much more of an engineer than we give him credit for. Nick: I think you're missing the Italianization that has occurred within Ferrari since Ross Brawn left. Historically, the team has enjoyed all the benefits that you mention but has wasted them in chaos and political in-fighting. Now that Luca has taken Ferrari back to its roots, the same inexplicable failures will occur and the team's successes will be sporadic again. We have already seen indicators of this happening in the last two years. I tend to be with Clive on this one. He is the great mind behind this powerful car, I´m sure. Clive: The example of F1 as a whole overshadows Ferrari as a fiasco and they are run by what nationality? :-). My reasoning has little if anything to do with nationality. It is a question of culture within a team. When the directive is to win, or else, the or else being public humiliation and social ostracizing, the drive to win is that much larger. F1, in ways, is like pro boxing. To win you must know all the dirty tricks and, if cornered, use them. Ferrari, in selling the idea "we are F1" to Mosley and Ecclestone, won the chess game going on behind the scenes for quite a few years. When McLaren got an edge through Stepneygate, they negated this through their contacts, (or should I say partners in crime) at the FIA. The politics and weight of the super powers (McLaren and Ferrari) was more or less in balance until the idiots got trapped into playing party politics. Ferrari, like it or not, are driven harder than any other team, from within and without. Personally I don't like their politics but this goes way back to the Enzo era. Since that time the ruthlessness has proliferated. Ferrari and Schumacher were designed for each other. They won more than anyone else because they were absolutely ruthless. Running people of the road or stabbing a driving partner in the back wasn't thought about twice, by team or driver, until the PR damage control became the issue...after the deed was done. I don't see another team at present with a combination of on and off track savvy to match Ferrari. Perhaps Dave Richards could have been as ruthless but he's not in the game. I think it is true that the designer is more of an influence than maybe he is currently credited with. How much more then, the desginer/driver/engineer of yesteryear? How much would all teams benefit from a driver that 'understands' the workings of engine & chassis as one? In years past there have been quite a few of those people - people with the driver-engineers eye and feel. A driver from the seat-of-the-pants side of the family. If F1 is anything it is the man v machine ability to bully/conjole the beast into the victory. Perhaps it will again. Let the race begin. A great leveller is money. And in future days money will be key for teams to survive; Perhaps capping the expeniture will cause a resurgance of true innovation and the purest of racing. "I think Ross is much more of an engineer than we give him credit for". I think Jeremy Clarkson said it best to Schuey, didn't he? I have a feeling that the simulators used by the likes of Maclaren and Ferrari will become much better due to the problems that they have encountered this year. Sometime these simulators have problems that are easily masked by the fact that the cars are performing very well. Now they have a lot of data on poor performance they can make their models far more robust. Personally I think there should be at least one testing weekend mid season. Nick: Your argument would be correct if Enzo's days had been one long history of constant success. In fact, the team had more downs than ups back then and things did not improve until the dream team arrived. But I agree with you that Schumacher and Ferrari were made for each other - their results prove that. Peril: I give up - what did Jeremy Clarkson say to Schumacher? Lee: Good point about the simulators. And I agree that there should be some testing allowed. Clive: My dislike with Enzo's regime has more to do with his Machiavellian treatment of drivers than anything resembling the present day ruthlessness. Hello Clive, I am a bit late on this one but I remember having commented on the fact that McLaren may regret not having Adrian in their midst and that this regret is already making itself felt in this years MP4-24. Back then my thoughts on this were cushioned stating that teams like McLaren have a broad enough design-structure to not fall into that trap and yet here we have an about-turn and a focus on the designers role. So, will Zander already be aiding McLaren-Merceds as an inside deal?